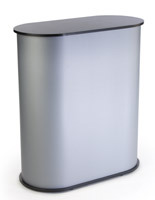 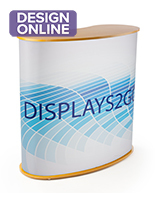 These trade show demo counters are 41” high to allow comfortable interaction between vendors and customers. 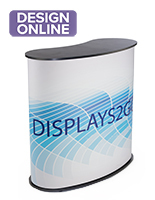 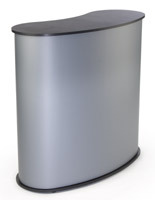 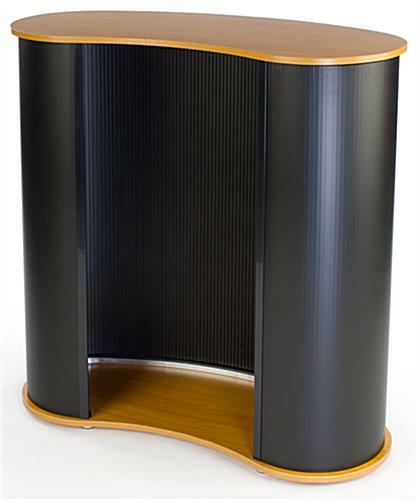 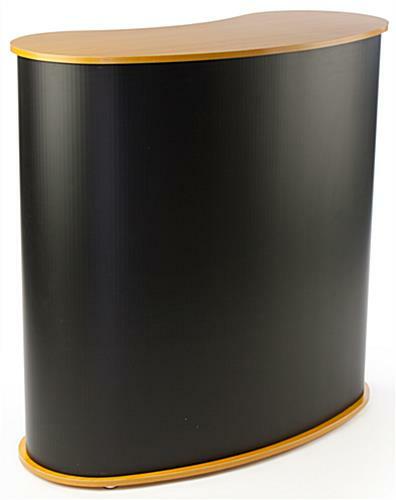 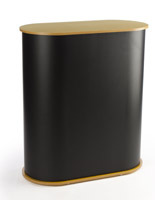 The portable furniture is a display stand that will showcase samples and get literature noticed. 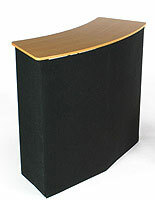 The demo counters with black and wood grain color scheme complement many room styles. 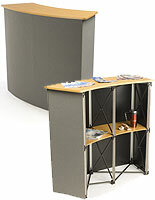 The pop up stand attaches the lightweight plastic body with hook and loop fabric at the base of the structure and the counter fits on top. 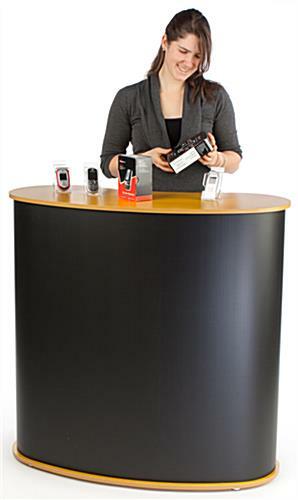 The counter is sturdy even though the display is really portable furniture. 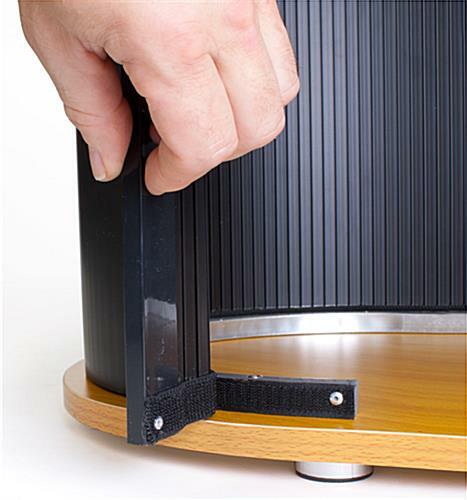 The table system breaks down and pops into 2 carrying bags that help with transportation from one event to the next. 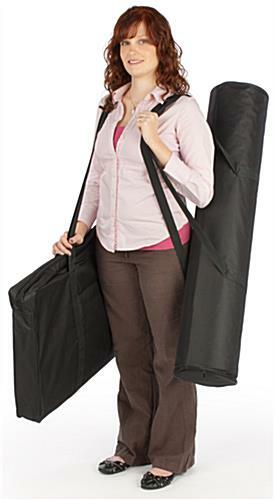 41.3" x 40.5" x 18.3"
43.0" x 19.0" x 4.0"